With the sighting of the crescent moon on our second day in Turkey, so begun the month of Ramazan (Ramadan) and a month of consideration and slightly different travel arrangements as a cycle tourist. Being a non Muslim, and also as a traveller we have been exempt from fasting as are the ill, elderly, pregnant or breast feeding mothers, Ramazan has still, for both of us, been a month of reflection as well as admiration and wonder. We would not have surpassed the mountains, the heat, had we refrained from eating, more importantly, refrained from drinking between dawn and sunset. But we saw many hard working farmers, women washing clothes, carpets, in the heat of the day that did just that. In tourist areas such as Istanbul food, drink, alcohol, was consumed out in the open, on streets, restaurant forefronts. Visiting the blue mosque in Istanbul just before sunset a volunteer invited us to a conference for tourists with a brief explanation about Ramazan followed by a meal. It proved a good environment to become informed, ask questions before moving east. Things changed drastically once we traveled the rural areas. Some locals did not participate in Ramazan and a small proportion of restaurants and tea houses remained open. We sat upon invitation at petrol stations appearing deserted, crowds of Turkish men drinking tea hidden behind impromptu screens. And at other times, directed upstairs to our tables out of public view. Places selling beer were generally closed, signs covered up, and when after several days we did find a fridge displaying an enticingly cold brew, the proprietor refused us. The heat made drinking beer less desirable but if found we would purchase a can or two, preparing ahead for when eventually the desire made even a warm beer an absolute pleasure. During the month we traveled, rested, camped and predominantly self catered. For us attempting to respect the custom of Ramazan, this meant we tried as much as possible to eat and drink out of public view. 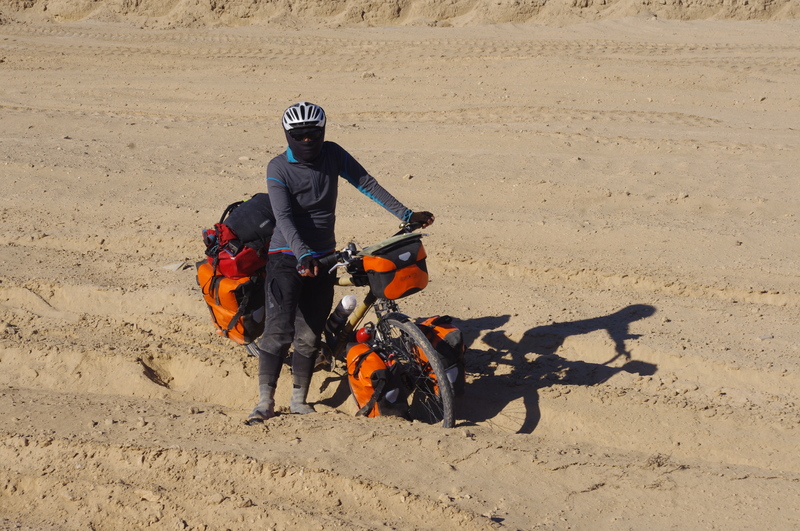 Rather than opt for the shade and fresh water of villages we would cycle for a while, stopping, finding or erecting shelter from the sun at a somewhat secluded location. In Turkey there appears no secluded location! 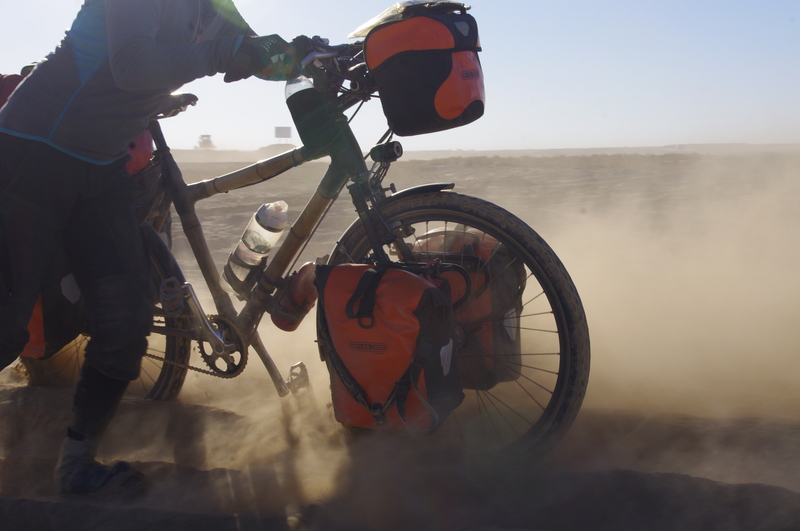 Rarely did we evade visitors, no matter how remote an area becomes upon a bicycle. Some Turkish people enquired as to why we were not at the nearby village, some brought food, water, some participated with us, some refrained, themselves fasting. Sultanhani is a small town with the largest Kervansaray upon the Silk Road in Turkey. It is frequented by tourists that come in bus loads, stay a short while and proceed to the next attraction. 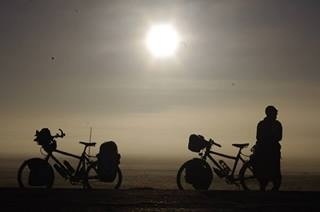 Upon our bicycles we were a curiosity, invited to camp upon a hotel roof…..stay….for a special occasion. As the last tourist bus left, the sun set, us, two women, the only women, only foreigners, sat on laid out carpets in the company of, among 2000 men, Iftar, to break fast, enjoy performance of Mevlana: Music Of The Whirling Dervishes and share a spiritual meal in the lamp light of the Kervansaray. We were asked, to sit, eat, relax, look, enjoy, with pride, told we would remember, remember Sultanhani, remember Turkey. We shared traditional spiced yoghurt soup, sour cherry juice, meat, bread, rice, semolina halwa, no plates, from communal bowls. We were visibly, verbally welcomed, yet for a short time, as has been usual, we not stared at, as people satisfied their hunger. Again we were invited to a meal at 2.30am before the sun rose, however, used to sleeping through the routine drumming played to note this hour, we both slept through. Some villages employed a cannon, to wake, to mark this hour. Once only, early on, when we were insensitive enough to devour a chocolate bar outside a store, thinking we hungry enough, but in reality?……a man approached us, shook our hands and in what little we understood, kindly explained it was Ramazan. The crescent moon has again appeared. The drumming and call to prayer, had echoed off mountains, gorges, sung across plains to us, all the previous days.